During the mid-1960s, the Supremes achieved mainstream success with Ross as lead singer. In 1967, Motown president Berry Gordy renamed the group Diana Ross & the Supremes, and replaced Ballard with Cindy Birdsong. Ross left to pursue a solo career in 1970 and was replaced by Jean Terrell, at which point the group's name reverted to the Supremes. After 1972, the lineup changed more frequently; Lynda Laurence, Scherrie Payne, and Susaye Greene all became members of the group during the mid-1970s. The Supremes disbanded in 1977 after 18 years. "Baby Love", written and produced by Holland-Dozier-Holland in 1964, topped the charts in the UK and the US. "Come See About Me" topped the chart twice, replacing The Beatles' "I Feel Fine" in December 1964 and January 1965. "Stop! In the Name of Love" was a number-one hit in the United States from March 21, 1965, through April 3, 1965. In 1958, Florence Ballard—a junior high school student living in the Brewster-Douglass Housing Projects in Detroit—met Paul Williams and Eddie Kendricks, two members of a Detroit male singing group known as the Primes. Since Ballard sang, as did Paul Williams' girlfriend Betty McGlown, the Primes's manager Milton Jenkins decided to create a sister group to the Primes called the Primettes. Ballard recruited her best friend Mary Wilson, who in turn recruited classmate Diane Ross. Mentored and funded by Jenkins, the Primettes began by performing hit songs by artists such as Ray Charles and the Drifters at sock hops, social clubs and talent shows around the Detroit area. Receiving additional guidance from group friend and established songwriter Jesse Greer, the quartet quickly earned a local fan following. The girls crafted an age-appropriate style that was inspired by the collegiate dress of popular doo-wop group Frankie Lymon & the Teenagers; and, for the most part, Ballard, Ross and Wilson performed equal leads on songs. Within a few months, guitarist Marvin Tarplin was added to the Primettes' lineup—a move that helped distinguish the group from Detroit's many other aspiring acts by allowing the girls to sing live instead of lip-synching. Determined to leave an impression on Gordy and join the stable of rising Motown stars, the Primettes frequented his Hitsville, U.S.A. recording studio every day after school. Eventually, they convinced Gordy to allow them to contribute hand claps and background vocals for the songs of other Motown artists including Marvin Gaye and Mary Wells. In January 1961, Gordy finally relented and agreed to sign the girls to his label – but under the condition that they change the name of their group. The Primes had by this time combined with Otis Williams & the Distants and would soon sign to Motown as the Temptations. Gordy gave Ballard a list of names to choose from that included suggestions such as "the Darleens", "the Sweet Ps", "the Melodees", "the Royaltones" and "the Jewelettes". Ballard chose "the Supremes", a name that Ross initially disliked as she felt it too masculine. Nevertheless, on January 15 the group signed with Motown as the Supremes. In the spring of 1962, Martin left the group to start a family. Thus, the newly named Supremes continued as a trio. Between 1961 and 1963, the Supremes released six singles, none of which charted in the Top 40 positions of the Billboard Hot 100. 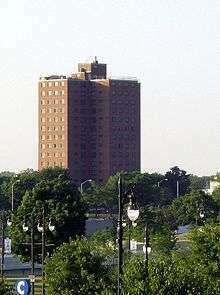 Jokingly referred to as the "no-hit Supremes" around Motown's Hitsville U.S.A. offices, the group attempted to compensate for their lack of hits by taking on any work available at the studio, including providing hand claps and singing backup for Motown artists such as Marvin Gaye and the Temptations. During these years, all three members took turns singing lead: Wilson favored soft ballads; Ballard favored soulful, hard-driving songs; and Ross favored mainstream pop songs. Most of their early material was written and produced by Berry Gordy or Smokey Robinson. In December 1963, the single "When the Lovelight Starts Shining Through His Eyes" peaked at number 23 on the Billboard Hot 100. "Lovelight" was the first of many Supremes songs written by the Motown songwriting and production team known as Holland–Dozier–Holland. In late 1963, Berry Gordy chose Diane Ross—who began going by "Diana" in 1965—as the official lead singer of the group. Ballard and Wilson were periodically given solos on Supremes albums, and Ballard continued to sing her solo number, "People", in concert for the next two years. "You Can't Hurry Love" was a number-one hit written and produced by Motown's main production team, Holland-Dozier-Holland, in 1966. Public magazines such as Time and The Detroit News commented on the Supremes' polished presentation. Time called the Supremes the "pride of [the] Detroit [sound]" and described them as "three thrushes who have a touch of gospel and sweet lyrics like 'I'm standing at the crossroads of love'." Arnold S. Hirsch of The Detroit News said about the Supremes: "they don't scream or wail incoherently. An adult can understand nine out of every 10 words they sing. And, most astounding, melody can be clearly detected in every song." In addition, unlike most American vocal groups, the group members became easily identifiable by their fans, thanks partially to the cover of their album, More Hits by the Supremes, which each member was pictured separately on the front, with her signature above it. By 1965, the Supremes were international stars. They toured the world, becoming almost as popular abroad as they were in the US. Almost immediately after their initial number-one hits, they recorded songs for motion picture soundtracks, appeared in the 1965 film Beach Ball, and endorsed dozens of products, at one point having their own brand of bread. By the end of 1966, their number-one hits included "I Hear a Symphony", "You Can't Hurry Love" and "You Keep Me Hangin' On". That year the group also released The Supremes A' Go-Go, which became the first album by an all-female group to reach number one on the US Billboard 200, knocking the Beatles' Revolver out of the top spot. Because the Supremes were popular with white audiences as well as with black ones, Gordy had the group cater to its middle American audience with performances at renowned supper clubs such as the Copacabana in New York. Broadway and pop standards were incorporated into their repertoire alongside their own hit songs. As a result, the Supremes became one of the first black musical acts to achieve complete and sustained crossover success. Black rock and roll musicians of the 1950s had seen many of their original hit tunes covered by white musicians, with these covers usually achieving more fame and sales success than the originals. The Supremes' success, however, counteracted this trend. Featuring three group members who were marketed for their individual personalities (a move unprecedented at the time) and Diana Ross's pop-friendly voice, the Supremes broke down racial barriers with rock and roll songs underpinned by R&B stylings. The group became extremely popular both domestically and abroad, becoming one of the first black musical acts to appear regularly on television programs such as Hullabaloo, The Hollywood Palace, The Della Reese Show, and, most notably, The Ed Sullivan Show, on which they made 17 appearances. The Supremes' cross-cultural success effectively paved the way for the mainstream success of contemporaneous label mates such as the Temptations, the Four Tops and the Jackson 5. Personnel problems within the group and within Motown Records' stable of performers led to tension among the members of the Supremes. Many of the other Motown performers felt that Berry Gordy was lavishing too much attention upon the group and upon Ross, in particular. In early 1967, the name of the act was officially changed briefly to "the Supremes with Diana Ross" before changing again to "Diana Ross & the Supremes" by mid-summer. The Miracles had become "Smokey Robinson & the Miracles" two years prior. The fall of 1967 saw Martha & the Vandellas become "Martha Reeves & the Vandellas". Having learned that Ross would receive top billing, David Ruffin lobbied, unsuccessfully, to have the Temptations renamed as "David Ruffin & the Temptations", although Gordy maintained that the name changes were done so that Motown could demand more money for live bookings (because they would be providing two acts—a lead singer and a group—instead of just one). The Supremes' name change fueled already present rumors of a solo career for Ross and contributed to the professional and personal dismantling of the group. In fact, Gordy intended to replace Ross with Barbara Randolph as early as the fall of 1966, but changed his mind and instead kept Ross in the group for several more years. Gordy's caution may have been sparked by an incident in early 1966 as the group prepared to make their second appearance at the Copacabana. Angered by Ballard's erratic behavior, Gordy intended to replace her with Marlene Barrow, a member of the Motown in-house singing group the Andantes. However, when club management heard of this change, they threatened to cancel the group's appearance if Ballard was replaced, as they saw Ballard's banter with her group mates as a major part of their act's success. "Love Child" became the number-one single on the Billboard Hot 100 chart for two weeks in 1968. The final number-one hit for Diana Ross & the Supremes, "Someday We'll Be Together". Several fictional works have been published that are based in part on the career of the group. The 1976 film Sparkle features the story of a Supremes-like singing trio called "Sister & the Sisters" from Harlem, New York. The film's score was composed by Curtis Mayfield, and the soundtrack album by Aretha Franklin was a commercial success. A remake of Sparkle was in development in the early 2000s with R&B singer Aaliyah as the lead, but the project was shelved when Aaliyah died in 2001. A remake of Sparkle eventually was released to film theaters in August 2012. The remake starred Jordin Sparks and Whitney Houston, in her final film role before her death. On December 21, 1981, the Tony Award-winning musical Dreamgirls opened at the Imperial Theatre on Broadway and ran for 1,522 performances. The musical, loosely based on the history of the Supremes, follows the story of the Dreams, an all-female singing trio from Chicago who become music superstars. Several of the characters in the play are analogues of real-life Supremes/Motown counterparts, with the story focusing upon the Florence Ballard doppelgänger Effie White. While influenced by the Supremes' and Motown's music, the songs in the play are a broader mix of R&B/soul and Broadway music. Mary Wilson loved the musical, but Diana Ross was reportedly angered by it and refused to see it. A film adaptation of Dreamgirls was released by DreamWorks and Paramount Pictures in December 2006. The film contains more overt references to Motown and the Supremes than does the play that inspired it: for example, in the film, many of the Dreams' album covers are identical in design to Supremes album covers, and the Dreams themselves hail from Detroit – not Chicago, as do their Broadway counterparts. The Supremes were twice nominated for a Grammy Award—for Best Rhythm & Blues Recording ("Baby Love", 1965) and Best Contemporary Rock & Roll Group Vocal Performance ("Stop! In the Name of Love", 1966)—but never won an award in competition. Three of their songs have been named to the Grammy Hall of Fame: "Where Did Our Love Go" and "You Keep Me Hangin' On" (both 1999) and "Stop! In the Name of Love" (2001). The group's songs "Stop! In the Name of Love" and "You Can't Hurry Love" are among the Rock and Roll Hall of Fame's 500 Songs that Shaped Rock and Roll. The Ross-Wilson-Ballard lineup was inducted into the Rock and Roll Hall of Fame in 1988, received a star on the Hollywood Walk of Fame in 1994, and entered into the Vocal Group Hall of Fame in 1998. In 2004, Rolling Stone placed the group at number 97 on their list of the "100 Greatest Artists of All Time". The Supremes are notable for the influences they have had on the black girl groups who have succeeded them in popular music, such as The Three Degrees, The Emotions, The Pointer Sisters, En Vogue, TLC, Destiny's Child and Cleopatra. In 1986, Jean Terrell, Scherrie Payne and Lynda Laurence began to perform as "The FLOS": Former Ladies of the Supremes. When Terrell quit in 1992, Sundray Tucker, Laurence’s sister, stepped in for a short time, but was replaced by Freddi Poole in 1996. More recently in September 2009, Poole was replaced by Joyce Vincent, formerly of Tony Orlando and Dawn. The group, now called Former Supremes Scherrie Payne and Lynda Laurence with Joyce Vincent, are working on a new recording. ↑ "YouTube". Youtube.com. Retrieved October 23, 2014. 1 2 3 4 5 Unterberger, Richie. "The Supremes". The Supremes have sold over 100 million records to date. Their catalog remains active 50 years later. Allmusic. Retrieved on July 4, 2008. 1 2 3 4 5 6 Wilson et al., 29–36. ↑ "Billboard Hot 100". Billboard. Nielsen Company. 76 (44): 18. 1964. Retrieved 9 May 2011. ↑ "Billboard Hot 100". Billboard. Nielsen Company. 76 (45): 18. 1964. Retrieved 9 May 2011. ↑ "Billboard Hot 100". Billboard. Nielsen Company. 76 (46): 24. 1964. Retrieved 9 May 2011. ↑ "Billboard Hot 100". Billboard. Nielsen Company. 76 (47): 22. 1964. Retrieved 9 May 2011. ↑ "Billboard Hot 100". Billboard. Nielsen Company. 76 (51): 24. 1964. Retrieved 9 May 2011. ↑ "Billboard Hot 100". Billboard. Nielsen Company. 77 (3): 20. 1965. Retrieved 9 May 2011. ↑ "Billboard Hot 100". Billboard. Nielsen Company. 77 (13): 32. 1965. Retrieved 9 May 2011. ↑ "Billboard Hot 100". Billboard. Nielsen Company. 77 (14): 28. 1965. Retrieved 10 May 2011. ↑ Wilson et al., 49. ↑ Wilson et al., 38. ↑ Wilson et al., 37. ↑ Wilson et al., 51. 1 2 3 Wilson et al., 53–56. ↑ Wilson et al., 75. 1 2 3 Gilliland, John (1969). "Show 26 – The Soul Reformation: Phase two, the Motown story. [Part 5]" (audio). Pop Chronicles. Digital.library.unt.edu. ↑ Wilson et al., 69. 1 2 Wilson et al., 69–71. ↑ Wilson et al., 62. ↑ Wilson et al., 57. ↑ Wilson et al., 58. ↑ Wilson et al., 84–85. ↑ Wilson et al., 81. 1 2 "The Supremes". The Rock and Roll Hall of Fame and Museum, 1988. Retrieved on July 21, 2008. ↑ Wilson et al., 136. ↑ Wilson et al., 141. ↑ Wilson, Mary (1986). Dreamgirl: My Life as a Supreme. Cooper Square Press. pp. 169–170. ISBN 0-8154-1000-X. 1 2 3 4 Wilson et al., 141–143. ↑ Wilson et al., 173. ↑ Wilson et al., 147. ↑ "The Supremes:Singles". AllMusic. Retrieved on July 25, 2008. ↑ "The Grammy Hall Of Fame Award". grammy.com. Retrieved on July 24, 2008. 1 2 3 Yusuf, Nilgin. "The Supremes on show". Telegraph (UK), April 26, 2008. Retrieved on August 4, 2008. ↑ Kooijman, Jaap. "From elegance to extravaganza the Supremes on The Ed Sullivan Show as a presentation of beauty". Velvet Light Trap [on accessmylibrary.com], March 22, 2002. Retrieved on July 4, 2007. 1 2 3 Ebony 1965, p. 86. ↑ The Supremes AllMusic Billboard Albums. Retrieved on July 24, 2008. ↑ "The Supremes become the first all-female band to have a No.1 hit album". National Arts and Education Network. Retrieved on July 17, 2008. 1 2 Leigh, Wendy. "Queen of the Supremes before Diana Ross". Daily Mail, May 22, 2008. Retrieved on August 4, 2008. ↑ Knight, Jack. "Ex-Supreme rejected in Motown suit". Detroit Free Press, October 29, 1971. ↑ Boehm, Mike. "How sweet it is: Motown hit-makers eye Broadway". Los Angeles Times, April 15, 2007. Retrieved on July 17, 2008. ↑ "Show 50 – The Soul Reformation: Phase three, soul music at the summit. [Part 6] : UNT Digital Library". UNT Digital Library. Retrieved October 23, 2014. ↑ "Billboard Hot 100". Billboard. Nielsen Company. 80 (48): 90. 1968. Retrieved 10 May 2011. ↑ "Billboard Hot 100". Billboard. Nielsen Company. 80 (49): 60. 1968. Retrieved 10 May 2011. ↑ A live recording of the performance was released later that year in a double-LP box set titled Farewell. ↑ Vining, Mark. "The Supremes". Rolling Stone, January 4, 1973. Retrieved on July 18, 2008. ↑ "The It List: Aaliyah". Entertainment Weekly, June 21, 2001. Retrieved on November 11, 2006. ↑ "Sparkle (2012)". IMDb. August 17, 2012. Retrieved October 23, 2014. ↑ O'Niel, Tom. "Diana's 'Dreamgirls' decision". Los Angeles Times. Retrieved on November 11, 2006. ↑ Skurow, Andrew. The Supremes. CD boxed set liner notes appendix, 2007. New York: Motown Record Co./Universal Music. ↑ "Grammy Hall of Fame Awards". Grammy.com, 2007. Retrieved April 27, 2007. ↑ "The Rock and Roll Hall of Fame's 500 Songs That Shaped Rock and Roll (by artist)". Rock and Roll Hall of Fame, 2007. Retrieved on April 27, 2007. Archived May 14, 2007, at the Wayback Machine. ↑ "The Immortals: The First Fifty". Rolling Stone, Issue 946, March 24, 2004. Retrieved on July 4, 2004. ↑ Chin et al., 48. ↑ Pareles, Jon. "Stop! In the Name of Nostalgia". New York Times, April 5, 2000. Retrieved on July 10, 2008. ↑ "Supremes return for tour". BBC News, April 5, 2000. Retrieved on July 4, 2008. ↑ "Supremes Drama Continues as Dreamgirls Opening" The New Tri-State Defender, October 18, 2006.